The Old Tallangatta Lookout is located on the Murray Valley Highway only 10 minutes drive from the township of Tallangatta and is the perfect place to stop and take a photo, have a picnic or stretch your legs. 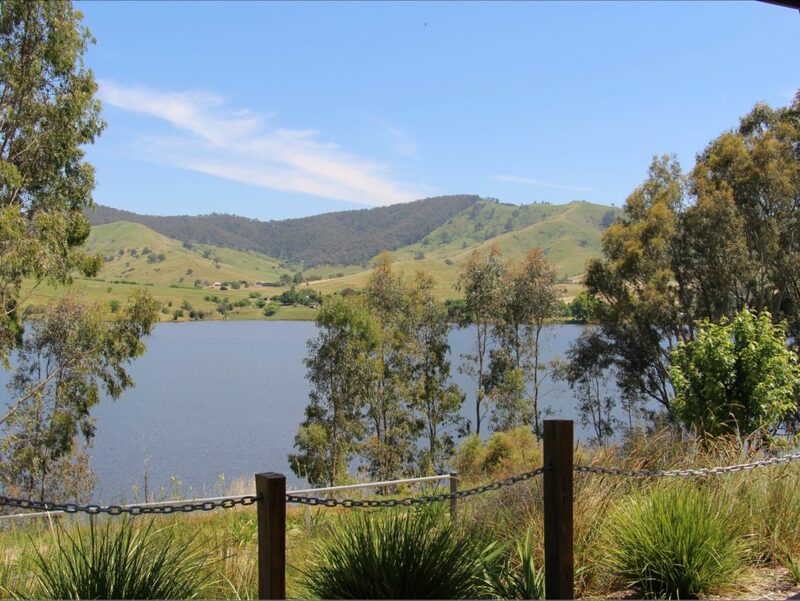 The lookout offers amazing views over Lake Hume and the old Tallangatta township and the views are not to be missed when Lake Hume is at full capacity. Located along the High Country Rail Trail makes it convenient for bike riders to stop here to have a break and take out the camera for a few snaps. Old Tallangatta Lookout offers parking, two picnic tables (one of which is undercover), information boards, a garden and access to the High Country Rail Trail.